Hello, so today I have 4 different zodiac constellations on my nails. I have never done nails like these so I want to know what you all think! Also I have a shiny version and a matte version. I'm not really sure which way I like it better, so I'm hoping you guys can help me decide! Now here is the matte version. For my matte top coat I used Urban Outfitters Matte Top Coat. I am slightly thinking I like this one more just because I feel like the actual constellations can be seen better. 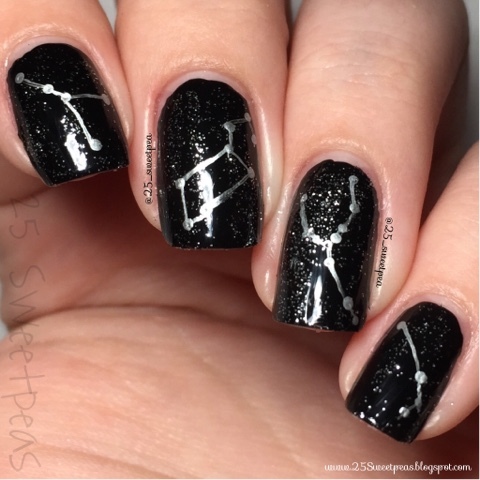 I did the constellations with silver acrylic paint. I started them with little dots made with my smallest dotter and then connected them small lines done with the silver acrylic paint. 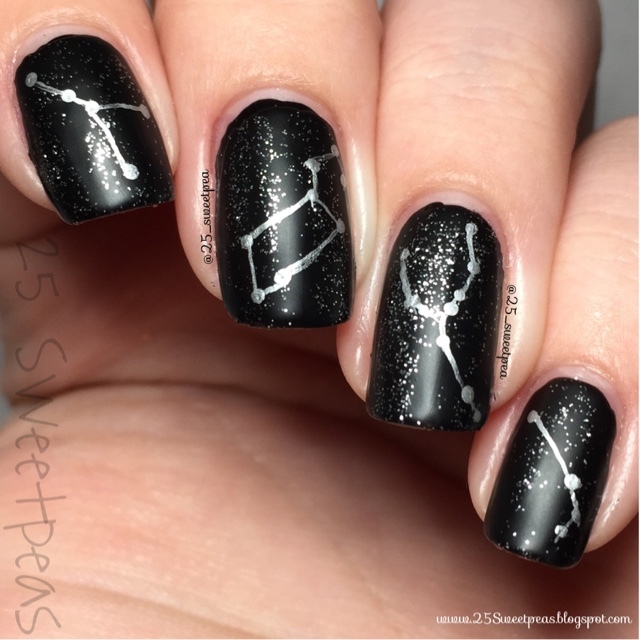 Now I tell you which Zodiac/Constellation is on each nail. Starting with the Pinkie is the Aires, next is the Taurus, then the Leo, and lastly on my index finger is the Cancer. 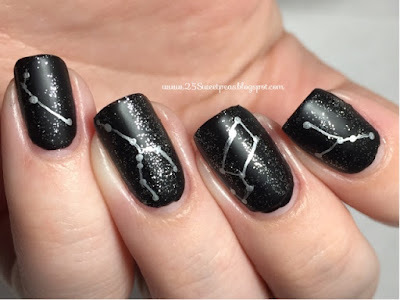 I've never really been into these but I thought it was a neat concept for nail art and I think stars are really neat! So what do you all think? Oh and which do you like, Matte or Shiny? Polka Dots, Stripes, and a Floral! Happy Birthday to The Little Canvas!